I see the milonguero, close-embrace dance as the new (resurrected) avant guarde art of Argentine tango. When this art is done well it is truly revolutionary--even far more revolutionary than the Parisian Impressionists. Why? Tango Impressionists create an art not for display. Tango impressionism is the secret art between two dancers, sometimes shared in semi-private events in which no one is there to be on stage but to dance social tango as a true, indescribable art form. Human. Imperfect. Sure, it can be pleasant to watch, better than browsing a smartphone, but the purpose of the art is not to be seen. Living as an Impressionist may bring you in certain circles to be the rejected artist, the creative artist in tango. It is not like any other avant-guard in the arts. Usually, the avant-guard has a new expression to put on display to the world, but the world often does not value it until later or never at all. 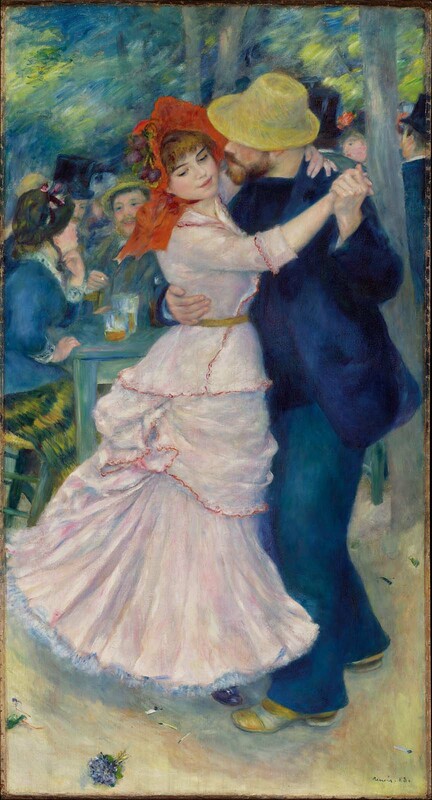 Go out and find like-minded "impressionists" who know how to paint a mood, an emotion, a feeling rather than the photo-perfect line with their dance. Being rejected, although not a requirement to be a good artist, has been shown to have the positive effect of engendering creative artists. Tango Impressionist Milonga? No one is watching the dancers! Fine art is not just doing what you want and calling it art. Tango Impressionism, as an art, contains the highest expression of what I call the three M's: Music, Movement and eMbrace: Excellent musicality, movement with a warm embrace. These remain, in my opinion, the center of this resurrected avant guarde of tango. Choreographic, step-focused, open embrace tango may be cool, but to me, sadly passé. The object of art, in this case, is to feel, not see. It is likely that no one is looking at your art anyway except voyeurs! 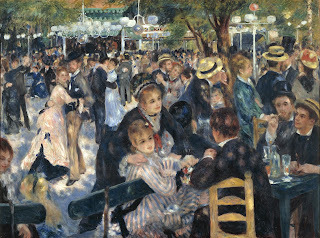 Maybe Renoir sensed this in his painting, Moulin de la Galette, in which no one is watching the dancers? I call this painting the "Tango Impressionist Milonga" because it embodies the object of this art: Tango Impressionism is not a spectacular thing to watch; it's a spectacular thing to feel. 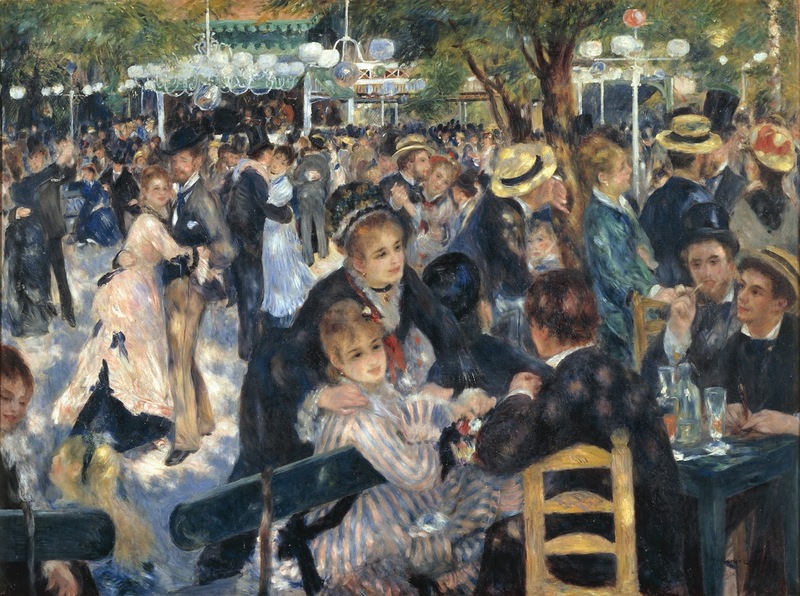 Note: This blog post was inspired by the BBC TV series, The Impressionists. I highly recommend the DVD. Originally the post was going to be on creativity through being rejected, but the Impressionists' positive story must be said first, not the pain of being creative. Maybe in a future post, I can learn more about the paradoxical relationship creativity and rejection have. If I do, I promise to share what I learn.